Great almost half price offer for Corporate Hospitality at Rugby Park, Kilmarnock on the 30th of December for the game between Kilmarnock and Celtic. According to the mailshot you can treat your loved one to a special night out at the Kilmarnock v Celtic game on 30th December. The normal price is £180 and as a sign of the times the special offer is only £99 per person plus VAT. You could do a lot worse than add on an overnight stay to yor short break which you could book at the club's own four star Park Hotel in Kilmarnock - it's only about fifteen minutes from Prestwick Airport for cheap Rynair flights from Dublin or the rest of Europe. Really great end to the corporate year for someone we're sure! I spent a couple of nights on my honeymoon at Letterfinlay so I would say it was special but it is really. Superb location on the loch and some great winter offers. They've just asked us to promote this as well. "Join us this December at Letterfinlay Lodge Hotel, where the twinkling lights that decorate the hotel and the contagious air of anticipation welcomes you in from the cold. This year we're hosting festive gatherings with a bit of class! Advance booking of tables is recommended. See our website for full details. Call us on 01397 712 622 to reserve your table. We look forward to welcoming you to Letterfinlay Lodge Hotel." Special Offer New Year Houseparty in the Highlands!! Cracking offer for the West Highlands in the mail today from The Onich Hotel. A MASSIVE SAVING of £100 per person! Our Traditional Hogmanay Houseparty is packed full of Musical Entertainment, Dancing, Great Food and warm Highland Hospitality! Package prices are per person for 3 nights and include all evening meals & entertainment as detailed in our New Year Programme. Click here to view the full details. Call the hotel directly on 01855 821 214 to book or e-mail us here. Don't delay - Book TODAY! Disney Animation for Scottish Highlands! Pixar has announced that one of its next features is to be set in the Highlands, which could it is said could provide a boost to Scotland’s tourist industry. The Bear and the Bow is a story of a Scottish princess, Merida, who decideds to give up her family name and follow her dream of becoming an archer. It is believed by tourism chiefs that it will help raise Scotland’s profile and lead to an influx of visitors in the same way that Braveheart and Highlander did. A rugged and mythic Scotland is the setting for Pixar's action-adventure "The Bear and the Bow." The impetuous, tangle-haired Merida, though a daughter of royalty, would prefer to make her mark as a great archer. A clash of wills with her mother compels Merida to make a reckless choice, which unleashes unintended peril on her father's kingdom and her mother's life. Merida struggles with the unpredictable forces of nature, magic and a dark, ancient curse to set things right. Director Brenda Chapman ("The Prince of Egypt," "The Lion King") and the storytelling wizards of Pixar conjure humor, fantasy and excitement in this rich Highland tale. A rugged and mythic Scotland? It sounds a bit like The First Minister's Christmas Card - anyway the release date is late 2011 so just in time for a 2012 marketing campaign. Is the bear going to be in favour of independance or against? It could swing an election you know! We would like to say it'll be a White Christmas, and although we can't guarantee it, the Highlands of Scotland usually offers a better chance of some festive white stuff than most other places in Scotland. Our friends at Folio Hotels have just told us about their Christmas Packages at The Ballachulish Hotel & The Isles of Glencoe and we knew you'd be interested. Both hotels sit lochside, with stunning views of the mountains in the background, they are everything a great Highland hotel should be. The Isles is a perfect location for families, with a relaxed warm atmosphere and leisure facilities. The Ballachulish on the other hand, is a more traditional hotel with a great bar complete with roaring fire. The Christmas packages at each hotel have also just been discounted for a limited time only, book before the 10th December 2009 and get a massive 30% off. The world famous Inn at Lathones near St Andrews, has just loaded a fantastic one night Hogmanay special. For only £125 per person, you can stay at the Inn and enjoy Hogmanay with a difference, complete with Champagne & Canape reception, a Piper and dancing. After midnight Stovies, the traditional heartwarming Scottish dish will be served to guests, perfect for a little energy boost after some vigorous dancing. It has unfortunately become an unwanted bi-annual event for the Tartan Army... Somewhere to make the most of failing to qualify for major championships! The event in Aviemore has now been held every two years for the past three major football championships and is starting to look like a fixed event on the calendar now that the National football team can't seem to qualify for a major tournament. Next year's Tartan Army Gathering will be the third one with the previous two attracting around 2500 visitors to each event. 2010 however is going to be bigger and better than ever before! The dates for the 2010 Tartan Army Gathering are from the 2nd to the 9th of July and previously there have been a few bands, singers and a kilted football tournament, mini highland games and a Tartan Army march. 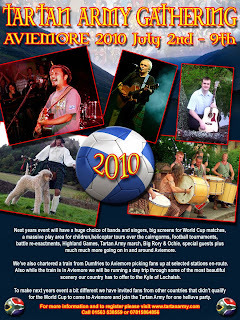 Next year's event already consists of 15 musical acts, big screens for World Cup matches, a massive play area for children, helicopter tours over the Cairngorms, football tournaments, battle re-enactments, Highland Games, Tartan Army march, Big Rory & Ochie, special guests and many more activities going on around Aviemore while The Tartan Army are in town. The organisers have also chartered a train departing from Dumfries en route to Aviemore picking fans up at selected stations on the way and while the train is in Aviemore there will be a chance to book a day trip to the Kyle of Lochalsh through some of the most beautiful scenery our country has to offer. There is already interest from both the Tartan Army non qualifiers and indeed other nations who will also be sitting on the sidelines this year! The stunning Mamore Lodge Hotel in Kinlochleven, offers unparallelled views of the Highlands around Lochaber. Set 700 feet up, this remote lodge is well worth seeking out. Favoured by walkers, climbers and those who want to get away from it all, they have just launched a great value Walkers 2 Night DBB Special. Stay for 2 nights this winter and enjoy a Dinner Bed Breakfast deal from only £89 per person per night, the offer includes, 2 nights accommodation, full Scottish Breakfast and dinner both nights. And you can even bring your own wine. This offer is available exclusively to Scotland's For Me customers, please click here to book now. Of course we're talking about Jedward and their demise after their attempts at being Wham! Of course they're from Dublin and surely there's no way even we can claim a Scottish Connection? After all we've got Susan Boyle. But wait. It was their costumes on Saturday and Sunday that gave it away. Choose Life, those famous Katharine Hamnett designs of the eighties were being worn by the boys apparently under there Linen jackets. But no the truth is stranger and in fact the T-shirts were a blatent plug for short breaks in the east of Scotland and actually said Choose Fife. We have secured exclusive rights to these t-shirts and you can now order your online for a limited period only from the Scotland's For Me online store. 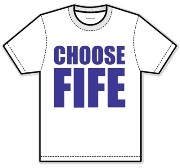 Wherever you go Choose Fife!! 2010 marks another milestone in golf history as The Open Championship celebrates its 150th Anniversary in July. Musselburgh Old Course Golf Club (MOCGC), the club at the world’s oldest golf course, is hosting the official Scottish Golf Heritage Festival, a golf tournament and festival celebration on July 9-12, 2010. The tournament, open to golfers worldwide, will celebrate the 150th anniversary of the first Open Champion Willie Park Senior. First in Fife Golf Pass offers golfers great value golf on some of the area's lesser known courses and despite all the talk of economic doom and gloom, hundreds of golfers have enjoyed great value trips to the Home of Golf in 2009 - and the good news is that the Golfpass will be further developed for 2010. The Golfpass will again be valid from 1 April to 31 October, and can be used on one trip or several to Fife in 2010 and as next year is also the 150th anniversary of The Open Championship, it is only fitting that this greatest of all championships will be played on the Old Course in St Andrews in July. What a great chance to combine a Golfpass visit and seeing the world's best players in action! The Inn at Lathones near St Andrews in Fife is offering the chance of a special evening of wine matched with some great food on 2nd December 2009. The Yering Station Australian wine evening will Ryan Morgan hosting the evening with the wine supplier Enotria wines of London. Ryan will be bringing 5 wines with him and The Inn at Lathones have developed a menu to suit and really show off the wines. Nick White owner reassures us that they always like to keep these evenings light hearted so even beginners will have fun and learn from the evening. Cost for meal including wines is just £45.00 and as its mid-week they are also offering rooms including bed and breakfast for just £20 a room. Saves getting a taxi! 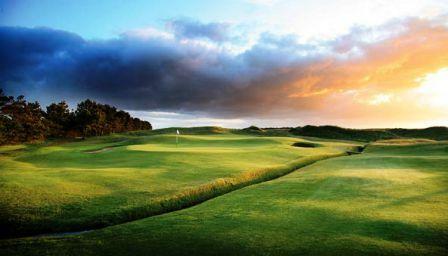 Dundonald Links golf course on the Ayrshire coast are offering a great deal for Winter Golfers. You can play six months of unlimited golf for an advance payment of £195 and a superb rate thereafter of £15 per round. Play is available from the regular tees, fairways and greens, no mats and it's seven days a week. This winter ticket allows you to play as many rounds as you like, both at weekends and during the week subject of course to availability. Guy Redford, Director of Golf at the Dundonald Links has been delighted with the response from golfers across the Central Belt, "We've seen a great uptake of the season ticket offer and welcomed an increased number of golfers through the gates to the club throughout October and November and they've enjoyed some great course conditions"
Local hoteliers have also witnessed an uptake of winter golfers staying over in the Ayrshire area. Malcolm Simpson whose new hotel Old Loans Inn in nearby Troon is targetting the golf market has noticed an increase in overnight stays from Scotland. "Winter golf in Ayrshire can offer both great value and some fantastic conditions, the views over to Arran at the weekend were quite magnificent and even in spite of previous rain the course was playing brilliantly. It's a great idea and we look forward to growing our winter golf market." The Old Loans Inn offers great winter rates online and can arrange your golf for you. Great offer for members of golf clubs across Scotland - Members of SGU affiliated golf clubs can take advantage of exclusive preferential green fees this winter at three of Scotland’s most famous Open Championship venues with proceeds from sales being invested in junior golf. Muirfield, Prestwick and Royal Troon have all generously donated tee-times to the Scottish Golf Union between November and the end of March, with a four-ball on each course costing just £280, representing great savings against the standard green fee rates. 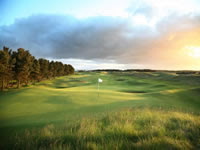 The Troon Portland course is also available, at £140 per four-ball. These special offers are only available to existing members of SGU affiliated clubs, adding great value to your club membership. To book, call the SGU on 01334 466477 or e-mail sgu@scottishgolf.org. Tee-Time Availability (all between 2 November 2009 and 30 March 2010) you can of course then book your accommodation online. Muirfield has hosted the Open Championship on no fewer than 15 occasions, the last of which was back in 2002 when South African Ernie Els lifted the Claret Jug. Royal Troon recently staged the Allied Surveyors Scottish Amateur Championship won by North East youngster David Law, whilst legends of the game Arnold Palmer and Tom Watson have both reigned supreme on the stunning Ayrshire links at the Open Championship. 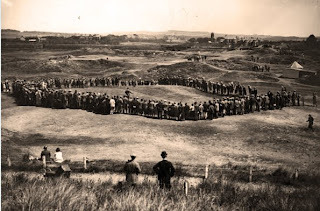 Prestwick of course lays claim to the birthplace of the Open Championship, having staged the first ever event back in 1860, with the great Harry Vardon winning three times between 1898 and 1914. A visit to the Prestwick clubhouse is must during your day, featuring a glittering collection of memorabilia from the various championships it hosted during the club’s rich history. The number of tee-times are limited so you are advised to book early to avoid disappointment. Payment must be made in full within 7 days of booking and tee-times will be sold on a first come, first served basis. All four members of your group must be members of an SGU affiliated golf club and handicap certificates will required at each club. Further rules and regulations for visitors at Muirfield, Prestwick and Royal Troon will be sent to you following confirmation of your booking. A number of network improvements have been introduced by Scottish regional carrier Loganair as part of its summer 2010 schedule. The Flybe franchise carrier has put more than 300,000 seats on sale including the busy Easter and summer travel periods. A new timetable between Aberdeen and Kirkwall, offering more seats at busy travel times and improving connections via Aberdeen to other UK domestic destinations. More direct services between Edinburgh and Stornoway and more seats at busy travel times on the Inverness-Stornoway route. Extra weekend services during the peak season between Aberdeen and Sumburgh. More flights on routes from Edinburgh to Kirkwall and Sumburgh, offering up to three return flights each weekday on both routes. Additional flights between Glasgow and Islay during the peak summer season. Shetland and Orkney’s only direct international services, to Bergen in Norway, will operate once again between late May and mid August. Services from September 6 to October 30, 2010 will be released for sale in late November. Lazy, loved up liaisons are the order of the day with the Apex Amour Package. Choose from our four star contemporary hotels in Edinburgh or Apex Dundee, reach for the ‘do not disturb’ sign and enjoy a wonderful romantic retreat. Spoil someone special with a romantic city break in Edinburgh. This dramatic city provides the perfect backdrop for a getaway à deux. Choose from the Apex International and Apex City Hotels on the historic Grassmarket area with stunning views of Edinburgh Castle or the Apex European Hotel in the city’s Haymarket area well placed for the West End. Champagne and bouquet of fresh flowers in your room, Dinner on one night. For a romantic escape where pure pampering is in mind, the Apex City Quay Hotel & Spa is the obvious choice. The hotel’s Japanese-inspired spa includes sunken hot tubs, sauna, tropicarium, ozone pool and Elemis treatment rooms to relax the body and mind. The Isle of Arran Outdoor and Walking Festival is coordinated by a voluntary group of outdoor enthusiasts and the Arran Adventure Company is pleased to provide operational support and a booking service to the festival. The 2009 Festival will have a fantastic series of outdoor activities and events with something for people of all abilities and interests. 5 Night Breaks; From only £199 per person - based on 2 persons sharing a Garden Double or Twin room. The rates include full breakfast and dinner each day. 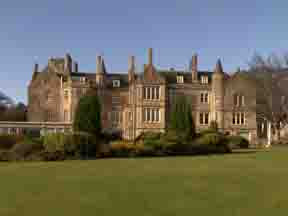 2, 3, or 4 Night Breaks; From only £65 per person per night - based on 2 persons sharing a Garden Double or Twin room. 2 Nights in a Superior Double room from only £169 per person!! 2 Nights in The Old Courtroom or Cathedral View from only £219 per person!! Through their Hand Picked Hotels consortium, The Norton House Hotel are offering special rates until the end of September. You can book online using promotion code PSUME and stay until 30th September 2009. Offer subject to availability between 1/7/2009 and 30/9/2009. Saturday nights must form part of a two night stay unless the hotel chooses to accept one night. No cancellations or amendments are allowed and no refunds will be made. Dinner inclusive of the Table d’Hôte menu only; a la carte available at a £15 supplement per person. Table d'Hôte dinners may be served in the brasserie of some hotels and not in the main restaurant where a fine dining upgrade will be available. Upgrades are applied subject to availability at time of booking and are valid both weekdays and weekends. Upgrades are awarded from Classic room bookings to Executive rooms only. Offer is available to new bookings only. Three days advance purchase is required. "I played eight courses I had never played any before in 12 days starting at North Berwick then Montrose, Cruden Bay, Lossiemouth, Nairn, Brora, Tain and Machrie. "I had a tee time at Machrihanish but because of its isolation I couldn't get there but I'll be at Prestwick next year for a dinner to mark the 150th anniversary of the first Open and while I'm in the area I'll try to get there. "I've also had a look at the course at Castle Stuart and I'd love to play there too. It's probably the best new course of the year. "These are courses I had heard about from friends who have played them, particularly my caddie Russell Steib. He is an American and he spends a lot of time over here, he's played most of them and he is also trying to get me to play the Darley course. Next to Royal Troon he says that's the best course in the area. 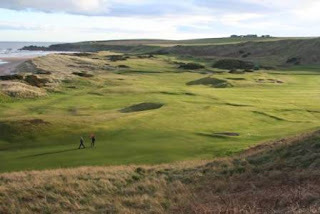 "I don't want to rate one against the other but each one has its unique character and Cruden Bay sticks in my mind. I can remember more of the holes there than I can on any of the other courses. "The Machrie is another that was memorable for sheer fun golf but it's not everybody's cup of tea because there are so many blind greens. "I played with club captains, club pros and juniors at the local courses. It was altogether a great experience. I hope my playing partners enjoyed playing with me as much as I enjoyed playing with them." That's the way to do it. See you in 2010 Bob! "Take advantage of this exclusive offer to visit one of Scotland's oldest and most loved hotels in the centre of Inverness." Dinner bed and breakfast only £59.00 per person based on two sharing - two children under 12 sharing the same room will be given complimentary bed and breakfast. The offer is valid until 30th of September 2009 and you should quote SCOT09 when booking. 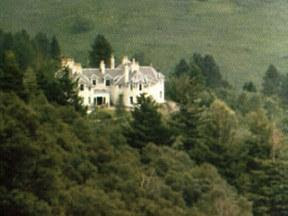 Find out more about one of the nicest traditional family friendly Highland hotels in Inverness. 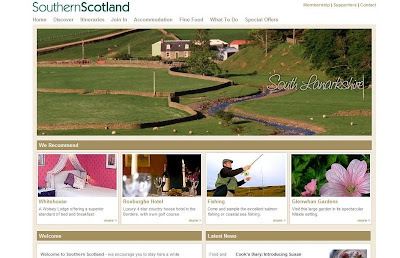 A new site has been launched highlighting the benefits of a short break to Southern Scotland. Covering the area from East Lothian in the east to Ayrshire in the west and covering the Borders South Lanarkshire and Dumfires and galloway, the website offers a wonderful insight on what to see and do, where to saty and how to get there. The site is updated by the accommdoation providers directly and there are a number of great ideas for short breaks and touring. 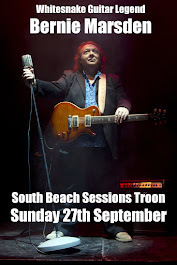 To find out more have a look at the marketing website for Southern Scotland. Have You Played Barassie Links Recently? 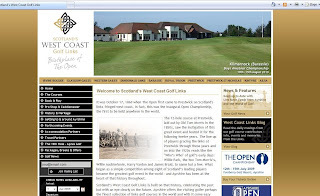 Ayrshire based web design company The Edge are doing a refresh of the Kilmarnock Barassie Golf Club website and as part of it are looking for comments from those who may have played it recently to include on the guest reviews part of the site. If you've got any comments or memories of playing the course why not share them with us here and we'll pass them onto the club for their website. A quick slideshow of the course guide is shown below. If you haven't played it, you really should add it to your list. It's just hosted the Final Qualifying prior to the Turnberry Open Championship and next year hosts the British Boys Championship. Arran Adventure have joined forces with the Ocean Youth Trust Scotland to offer unbeatable adventure holidays in the west of Scotland onboard Alba Explorer, a 72' Ocean Racing Yacht with an awesome pedigree. Originally built for the British Steel Global Challenge in 2000, she is one of an identical fleet of 72' steel hulled yachts, that have raced around the world against the prevailing winds - twice! Alba Explorer is managed by a full time professional team, who are joined by experienced Arran Adventure Company staff to ensure a great fun, relaxed trip. If you are an experienced sailor, you will be able to work at your level and receive personal coaching in any aspect of sailing. There is also an opportunity for novices to complete the RYA Competent Crew course during the week. If you prefer to take a less active role; simply relax and enjoy the sail - no problem! Great food! You can be assured of high quality food, prepared by an experienced chef. For more information and to reserve your place online, please follow this link to our website. The Cleveland Golf Srixon Scottish Senior Open is being held over the Torrance Course later this week and if you buy The Scotsman you can collect a voucher for one free ticket when you by one full price. The event will be the first event to be held on The Torrance since it reopened after being revamped on July 14th this year. Charles Head, general manager of Fairmont St Andrews, said: "This is an iconic event with some of the most recognised and revered names in golf participating. After a £17million investment in both our championship courses and hotel, it is wonderful to see such a prestigious European Senior Tour event coming to the Torrance Course." Little throwaway remark that we found funny form The Herald this morning. A late move has seen the 2009 Retrofest move from Glasgow Green to Loudoun Castle in Ayrshire a matter of a few hundred yards from Galston. Apparently the Glasgow forty somethings are "not happy at having to go to Ayrshire, but I reckon the organisers are not so daft. They've probably told headlining acts Gloria Gaynor and Level 42 that they are playing Galstonbury, and hoping they don't read it too closely." I think this is a wonderful tag for the event and think it must go viral! Galstonbury 2009 by the way takes place over the last weekend in August (28th - 30th) and also features ABC, Les McKeown's Bay City Rollers, Heaven 17, Rick Astley, Flock of Seagulls, Showaddywaddy, Midge Ure, Average White Band, Nick Kershaw, Go West, Bad Manners and others. The Isle of Arran is one of the best places for Sea Kayaking in Scotland with its sheltered coastal waters, stunning scenery and abundant wildlife, it is a kayaker's paradise. The Arran Adventure Company offer a great selection of sessions and trips to suit a range of paddlers, from complete beginners to more experienced paddlers, from a half-day to a week-long course, there is something for everyone. Their website has a live Activities Calendar, where you can see what's on and book online. If you have any questions, you can call them on 01770 302244 during office hours seven days a week. A ideal session for learning and practising manoeuvres. Your instructor will be testing your skills with games and exercises, so be prepared to get wet! 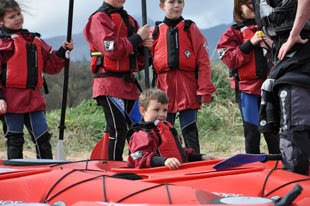 A Scottish Canoe Association 'Paddle Power Certificate' is awarded to every child completing this course. This is the perfect activity for families. Spend a half day paddling either single kayaks that are designed with the beginner in mind or double kayaks that let the kids come along too. These trip takes a relaxed pace and you can enjoy close up views of the seabed and marine wildlife. These trips are aimed at adults and older teens and combine a skills session with a journey along the coast, where you can develop your paddling style. There is a choice of half or full day trips with a picnic lunch included. Days Away, in association with Stena Line have come together to offer great value golfing deals in Scotland. Take your car with you and you won't have to pay any excess prices. Scotland has a spectacular range of golf courses to suit all tastes in golf, be it challenging championship links courses or picturesque parkland courses, all famous for their scenery, stunning views and cracking hospitality! Days Away have 17 years of organising golfing holidays for people from all over the UK and Ireland offering a variety of golf packages which include reserved tee-time, accommodation and return Stena Line ferry travel between either the UK or Ireland. From the major courses to the hidden gems we can put together a package to suit your needs and budget. These new packages are unique to Stena Line. For further information please contact Duncan Dewar, Chief Executive, Days Away. Inspired by The Open Championship to play some more golf or did it make you want to lie down and take a well earned rest! Well you can achieve either (or both!) at the wonderful Fairmont St Andrews in Fife and their 7 DAY SALE STARTS Today!! Two 30 minute luxury treatments plus a Spa lunch by the pool. Valid for bookings until 30th September 2009. SPA NIGHTS ~ from £199 per person. 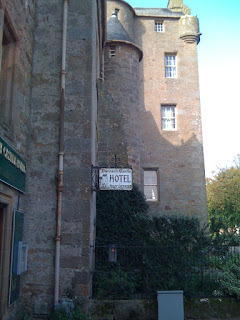 Two nights in the award winning hotel with full Scottish breakfast and three spa treatments each. The Torrance is home to the Cleveland Srixon Scottish Seniors Open and is an Open qualifying venue for 2010 Open Championship. Call 01334 837023 to make a booking. All of the offers above are subject to availability and terms and conditions apply. AC/DC - Scotland Was For Them! Heading off on holiday for a couple of weeks but just had to mention the AC/DC gig last night. What's it got to do with Scottish Tourism? Well I reckon that about 20% of all passengers arriving at Prestwick Airport yesterday were heading to Hampden for the gig of the year. Perhaps this or any other! Truly magnificent atmosphere; can just about hear and walk again but great day out. Met some wonderful guys en route (okay in the pub) and witnessed a couple of dozen of our very own Tartan Army T-shirts. 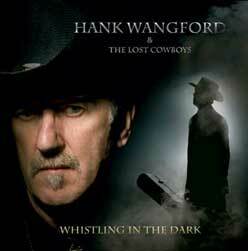 But the real star was "our" Angus; two hours of that and that's all the way through a massive world tour. Awesome. Scotland's all your guys! 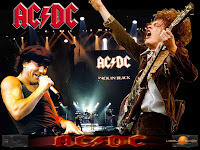 Well after much anticipation in the office, the day has finally come for the AC/DC gig at Hampden Park in Glasgow. Our glorious leader Ian and our design guru Steven have been like schoolkids in shorts all day. But now they have left and are making their way to Glasgow in a luxury coach, to soak up all the pre-gig atmosphere, when the time comes they will be ready and able to lend a hand with rock out hand signals and singalong choruses. We've asked them to send loads of pictures to our Twitter account, so please keep checking us @scotlandforme and let us know what you think. Still some tickets available for Al Hughes live at the wonderfully intimate little venue in The Stables at The Inn at Lathones near St. Andrews on Monday 29th June. First it was “staycationers”, and now a new Scottish hotel is targeting the latest UK tourism phenomenon. Brits who are short of time and cash are turning to “nanobreaks” - or short one-night stays – this summer. Nanobreakers tend to want to drive just a couple of hours - a distance of about one hundred miles or so from their homes – for a quick change of scenery. The new £1m Woodland Bay Hotel outside Girvan in Ayrshire, Scotland, opens on July 11 and Director Gillian Forbes says she has factored the new short break into her planning by targeting the North of England. “VisitBritain, the UK tourism body, is running campaigns such as “Britain for less” and “Enjoy every minute” and this clearly demonstrates the prevailing mood of price-sensitivity and value for money. “Despite the credit crunch, holidaymakers are determined to keep travelling this summer. Weathermen are forecasting a 30 degree heat wave in Scotland in August, so lots of cost-conscious holidaymakers will head north of the border for the Florida-style sunshine, the golf, the beaches and the scenery. Already we’re getting bookings for one night stays from the Carlisle, Newcastle and Liverpool areas, and I expect this trend to continue. Woodland Bay Hotel has sixteen brand-new Ocean View bedrooms which Gillian describes as “four-star quality at affordable three-star prices” and “an oasis of calm, comfort and cosseting”. “Prices start from only £30 per person per night and include freshly-cooked Scottish breakfast using the very best of our own and other local produce. “South Ayrshire has so much to offer in terms of family fun and entertainment. So if people in the North of England are looking for a perfect one-night stay just a short drive away, there's no better place to escape to than here." For more information and to book you rooms online log on to Woodland Bay Hotel. Enterkine Country House near Ayr on the west coast have emailed to let us know that they are delighted to be working with Eatscotland again and are offering a two course lunch and coffee for £15.00 during June and July. The menu is available Monday - Saturday inclusive and a sample menu would for the offer is listed below. PS - they also still have some tables available for The Open Championship but reservations are essential. You know sometimes you find just by chance some wonderful little nuggets on the net; Blogging that says something about the individuals tied in with their travels brings a destination to life so much more and so it was this morning. After having posted a couple articles about golfers Bob Charles and Ian Poulter I found a link somewhere to this wonderful little travelogue written about a tour to Scotland by an American family in 2007. Somehow it captures the nature of the place really well and well it's just honest. This is what it should be about not just 140 characters!! 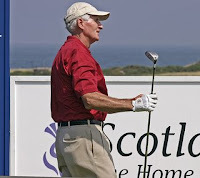 Great wee article in the Press and Journal recently outlining a proposed visit to the Highlands and North East by former Open Champion Sir Bob Charles who remains the only left-hander to have won the championship who is coming to Scotland to play a few holes at the age of 73. Charles, who won the 1963 Open at Royal Lytham asked Aberdeen businessman and golfing friend Jim Hardie to set-up a wish list of Scottish courses he wants to play on which included North Berwick, Royal Montrose, Cruden Bay, Lossiemouth, Nairn, Castle Stuart, Brora and Tain. At most of the courses Charles will be partnered by people such as the host club professional, club captain or club champion. The tee has been reserved at noon for all the courses with the exception of the Moray golf club at Lossiemouth where the tee-off time will be 3pm. Charles first played in the north-east at the Northern Open at Murcar in the early 1960s and he was back much more recently to play in the Senior British Open at Royal Aberdeen in 2005.He was knighted for his services to golf in 1999 and has been inducted into the World Golf Hall of Fame. Pretty cool little trip and worth trying if you're coming into Scotland but Bob just one other wee thing, see if you have some time between Brora and Tain go visit Golspie. Truly great wee course and deserving of the publicity! A new service offering direct Lufthansa flights between Dusseldorf and Inverness began at the weekend with passengers stepping off the inaugural run being given a traditional Scottish welcome of a piper and a taste of Scottish fare. The once-a-week Saturday flight arrives in the Highland capital at 11.45am and leaves at 12.25pm and will operate until September 12. The German market remains Scottish tourism's largest European market with an estimated 300,000 Germans visiting Scotland in 2008 and spending around £187million. According to the Glasgow Evening Times "The Bonnie Banks of Loch Lomond are about to get a stunning new look - thanks to the flair of golf's fashion pace-setter, Ian Poulter. The flamboyant Englishman is a confirmed entry for the Barclays Scottish Open, which runs from July 9-12, and has revealed he has designed four new tartans for his already-extensive wardrobe especially for his visit to Scotland. He said: "I'm launching four new tartans in my own clothing line this summer, so there is definitely a Scottish theme in there. advertisement "One of them will be a limited edition for the Open, which will be red, white and blue. "They are all authentic tartans, approved by the Scottish Tartans Authority, and it will be great to wear them. Hopefully, I'll get a good reaction." Looking for a wee golf break this year? Well how about searching out something just a little bit different? First in Fife Golf is a group of affordable golf clubs in Fife offering tremendous value for money with their three and five day golf passes. The group's website has all the information you'd need not only about the golf courses but also prices, accommodation and travel - you can even purchase and manage your tee times online. Their web company The Edge in Ayrshire have just uploaded a wee fly through to First in Fife's YouTube site which shows you just how easy it is to play these courses. Have a look - just a wee bit of fun. Troon hosting the matchplay stages of the event. Well, the £78,000 Glenmuir PGA Professional Championship takes place at Dundonald Links in Ayrshire, the first time it has been staged in Scotland since 2003. The top competition for club professionals in the UK carries a first prize of £10,000 while places are also up for grabs in the PGA Cup team, this year's match against the Americans being played at The Carrick on Loch Lomond in September. The Dundonalod Links course is a magnificent addition to the golf portfolio of the west of Scotland and comes a few weeks ahead of The Open Championship returning to Troon. Nearly 160 of the best players from across Britain and Ireland will battle it out over 72 holes at Dundonald Links for the PGA's flagship event which is being defended by West Berkshire's Paul Simpson. An added incentive for the field is one of the 10 places available for the Great Britain & Ireland PGA Cup team to face America later in the year at The Carrick on Loch Lomond. Guy Redford, director of golf operations at the spectacular Dundonald Links near Troon in Ayrshire, is predicting an exciting week's golf which he believes will favour the brave and bold. "It's a great risk and reward course and good players from tee to green will be rewarded on this course," said Redford. It's only a few weeks until The Open Championship returns to perhaps the most spectacularly beautiful of all the venues - Turnberry. Located on the west coast of Scotland, Turnberry has it all - magnificent links course, iconic landmarks and world class hotel. It's also pretty damned easy to get to too! And just in time for the championship there's a new website featuring not only Turnberry's Ailsa but nine more of the West Coast most famous golf links. Scotland's West Coast Golf Links brings together ten world class links golf courses under one marketing umbrella for the first time and offers the golfer a tempting taster of what could be theirs. The website gives a glimpse of the history of the area and offers links to each of the courses, latest green fee offers and live hotel availability. If you're looking for a room for The Open there's still late availability in a number of properties. 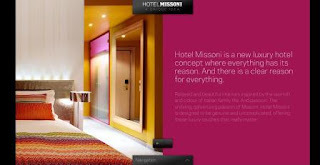 Not had the pleasure yet of a visit but the website design is quite awesome and inspiring albeit more than lacking in some important details like location and other destination information ; completely different take on accommodation marketing and really most impressive and shows what can be achieved online for this particular marketplace. Does seem churlish to complain about the detail but there you go it's all about opinions. In the current climate a positive note to chime ahead of The Festival and you can check availability and book online quite easily. PS: Just in case you need the details after you've visited the website - the hotel's located on the George IV Bridge on the Royal Mile. Tickets are available for purchase for the 2009 Barclays Scottish Open and if you book before 30th of June you can save £15 on season tickets and £5 on day tickets. To purchase your tickets you can go to the European Tour Ticket Pages or call 0800 023 2557. Hospitality packages are also still available from only £225 + vat, for further information and information is also available through the link above. Organisers are also offering the visitor to upgrade their package by adding a champagne lunch or afternoon tea to their tickets! There's nothing to beat The Open for atmosphere and buzz but having been at Loch Lomond on a few occasions it's a great place for the day out. I could certainly see the benefits of a wee champagne lunch if my budget could have extended to it. I guess my RBS Corporate Hospitality invitation is still in the post! Anyway it's a great venue and worth visiting - and if you're looking for something just a little different afterwards you could head north and stop off for a bite to eat and perhspa some live music at one of Scotland's most unique inns - The Drovers Inn at Inverarnan. 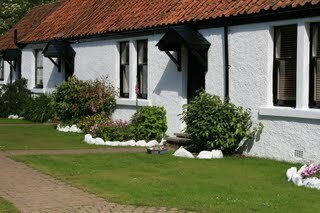 According to their website they still have some availability for The Scottish Open so give it a wee visit.